Our panel of judges are mobile payment experts, including entrepreneurs, VC's and executives. John FrankelJohn Frankel is the founding partner of ff Venture Capital, an early-stage venture capital firm in New York City, and has been an early-stage investor since 1999. John was one of the earliest investors in Quigo Technologies, which was purchased by AOL in December 2007, and in Cornerstone OnDemand (CSOD on NASDAQ), which had a successful IPO in March 2011. John currently serves on the boards of 500px, Appy Couple, Bottlenose, Centzy, ClearPath Immigration, Distil Networks, Estify, Headliner, Gobbler, InteraXon, Moveline, Phone.com, SkyCatch, Tackk, VolunteerSpot, and Voxy. John is also a Mentor with the Entrepreneurs Roundtable Accelerator program. 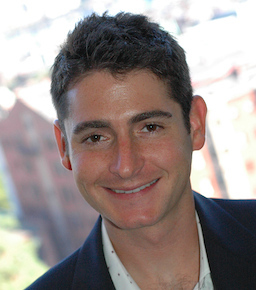 Josh Abramowitz is the founder and chair of Deep Creek Capital LLC. He is an investor in numerous early-stage companies across multiple verticals, and has a particular interest in the financial services space. Prior to founding Deep Creek Capital LLC, Mr. Abramowitz was a portfolio manager at Viking Global Investors LP, where he built and led the firm's distressed and credit investing group. Prior to Viking, Mr. Abramowitz was an investment analyst at Elliott Associates L.P. Mr. Abramowitz is a graduate of Yale Law School, where he was a Senior Editor of the Yale Law Journal. He holds an A.B. from Colgate University, where he studied history and philosophy and was elected to Phi Beta Kappa. Mr. Abramowitz is a CFA Charterholder. Matt Witheiler is a Principal at Flybridge Capital Partners whose investment interests and experience broadly cover companies and technologies across the information technology sector including hardware, financial technology and education technology. Matt currently represents Flybridge Capital Partners on the board of Convoke Systems and Dragon Innovation and serves as an observer on the boards of DataXu and Sand 9. Matt was previously a director at Ready Financial (merged with AccountNow). He also Founding Executive Committee Member of FirstGrowth Venture Network, a network of venture and angel investors supporting first and second time entrepreneurs building exciting companies in the New York area. Other judges to be announced.